Manon de Boer’s best known films include a series of portraits in which the film medium itself is continuously interrogated. She is interested in moments of open-ended time in which ‘doing nothing’ can transform into play – and play can transform into creation. Manon de Boer’s work has been exhibited internationally, at the Venice Biennale (2007), Berlin Biennale (2008), Sao Paulo Bienal (2010) and Documenta 13 (2012) and has also been included in numerous film festivals in Hong Kong, Marseille, Rotterdam and Vienna. Based in Brussels, Manon first visited Cornwall in September 2016 to attend the International Musicians Seminar (IMS) Master Classes held at Prussia Cove. During her second visit, she recorded the sounds of the Master Classes. Using the IMS recording as a starting point, she is developing new work for the Groundwork programme, to be shown in 2018. This screening will present two films followed by a Q&A with Tate St Ives curator Laura Smith. 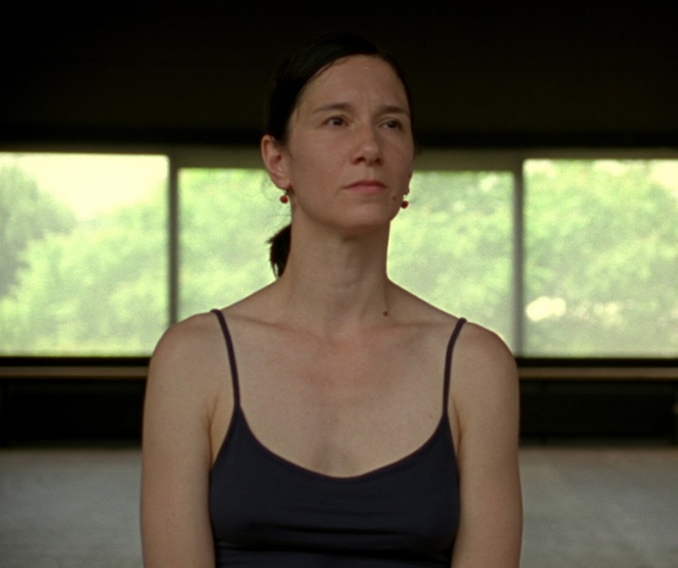 In Dissonant the camera follows every movement of dancer Cynthia Loemij. The film is shot on 16mm film and when a roll runs out, the dance continues, the sound audible and the screen black during the one minute that is needed to change the film roll. In Presto, Perfect Sound composer and violinist, George Van Dam, performs Béla Bartok’s sonata for violin solo, Presto. The film offers an intense reflection on a moment of creative concentration. Working in partnership with CAST and the Groundwork project, Falmouth University will host this screening and Q&A with Manon de Boer as part of the School of Art’s Guest Speakers series. Lectures are open to students and the public. Admission is free but booking is required via the Eventbrite website. Groundwork is a three-year project bringing outstanding art and artists to Cornwall, supported by Arts Council England’s Ambition for Excellence scheme. Field trips, workshops and events during 2016 and 2017 are building towards a high-profile programme of commissions and sited work in 2018.